Victoria Market or Mercado Victoria in Cordoba was the Andalucia's first gastro-market with almost thirty stalls serving freshly prepared and cooked food to order. This is a fabulous way to 'tapear' literally a verb - to have tapas, or to try different international dishes. They range from Argentinian to Japanese, oysters to steaks or a very local one, Salmorejeria which serves umpteen different types of Salmorejo, one of my favourite dishes. You can have one tapa from one stall and something else from another. Separate beer bars and wine bars serve drinks, eat near your chosen stall or there are plenty of tables both inside and outside. Chose the more sedate tables and chairs section or the noisier bar with music and tall tables. My second vist and hubby's first happened to be on Halloween. What did we have? And some very good chicken kebabs, one spicy and one with garlic which we obviously ate before taking any photos! All washed down with several beers and an excellent Lan Reserva at 4€ a glass. Since opening in 2013 as a gastro market it has become extremely popular and now hosts many events, tasting and gastronomic competitions. The best time to visit for prices is Monday - Wednesday when very often a tapas + beer is 2€. Of course there is more atmosphere at the weekends and prices are higher. It's opening hours are 9am - midnight Sunday - Wednesday and 9am - 2am Thursday - Saturday. This beautiful forged metal structure from the XIX century was originally built in 1877 by the Circle of Friends as their base during the Feria de Cordoba, which at that time was held in the Jardines de la Victoria in the centre of town. Nowadays the much larger Feria is held on the outskirts of the city. There are plenty of markets across Spain and Andalucia that are food markets with some eating stalls too such as Granada's Mercado de San Agustin on C/ Cuesta del Águila, covering five floors. Malaga's Mercado Central now the new gastro market Mercado Merced is set to be a huge hit with 22 stalls at it's opening in Ocotber 2015. It's very central and near The Picasso Museum. 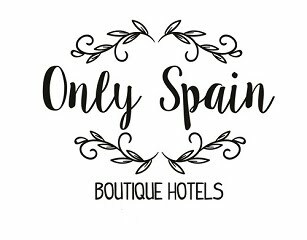 There are plenty of options from hostals to 5* hotels in Cordoba. My favourite so far is the gorgeous Hotel Balcon de Cordoba. In Granada I like the old, quirky central Boutique Hotel Gar Anat and in Malaga the Hotel Castillo de Santa Catalina, not exactly central but a short walk out of town and up hill.